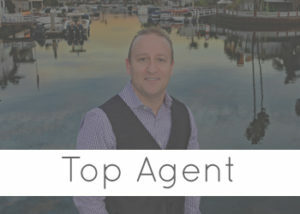 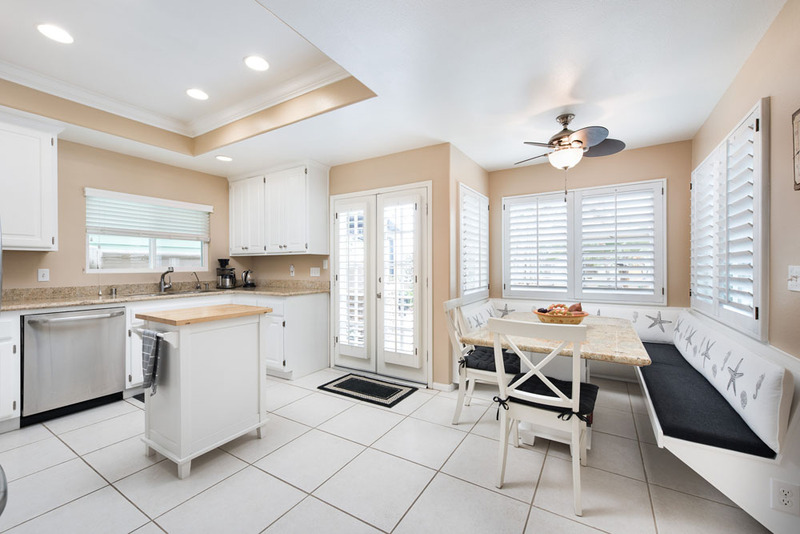 · Close to Main St Restaurants, Shopping & Entertainment at Pacific City, The Famous HB Pier, Oceanfront Biking/Walking Path, Parks, Blue Ribbon Schools and More! 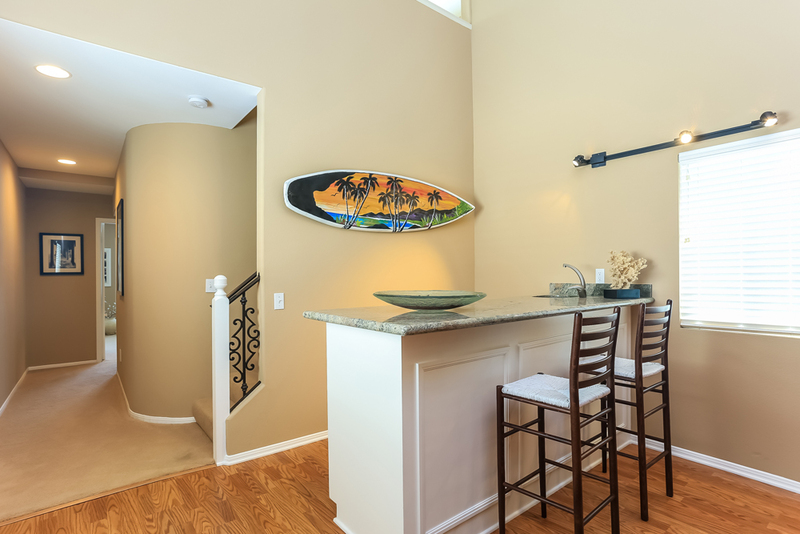 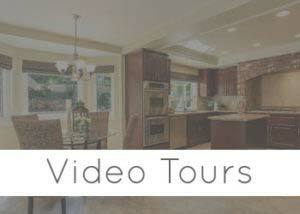 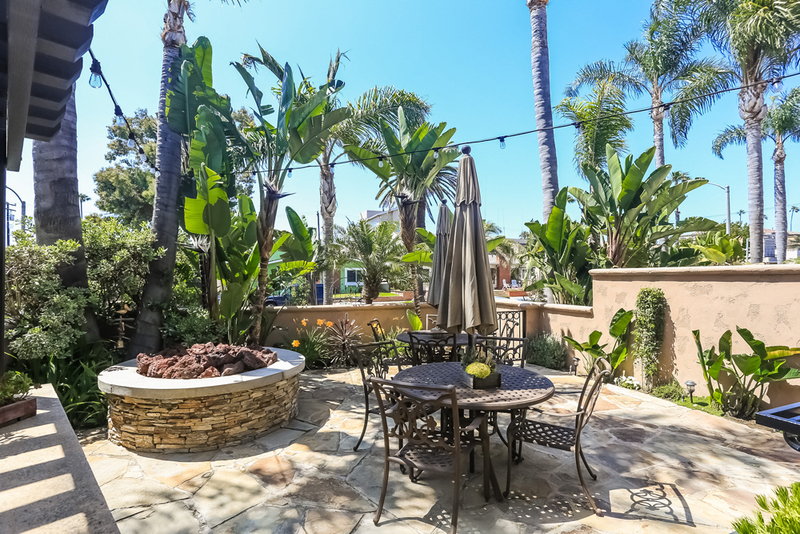 Welcome to your beautiful 3-story beach home offering sophisticated California coastal living at its finest. 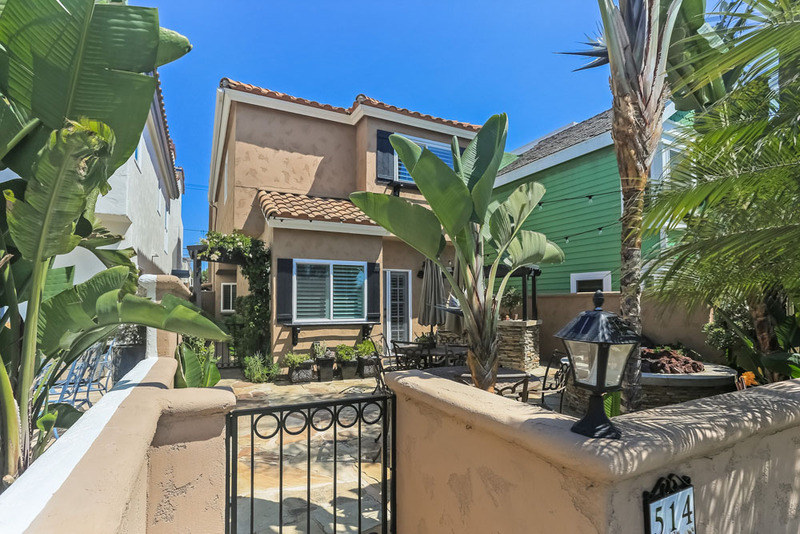 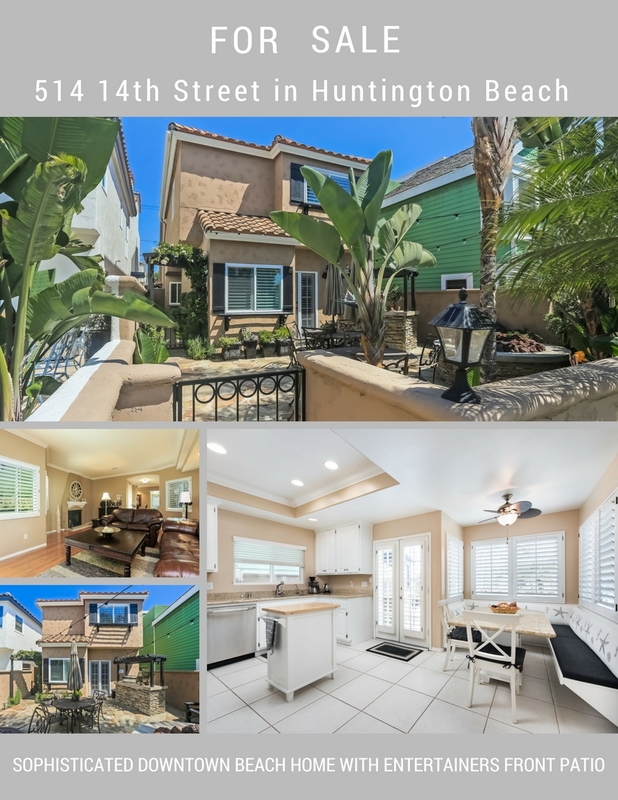 Just blocks from the beach, this meticulously maintained home was designed for quality entertaining, and features many upgrades including a wrap-around breakfast nook with seating for 6 in the kitchen with granite counters, stainless steel appliances and French doors to the front patio. 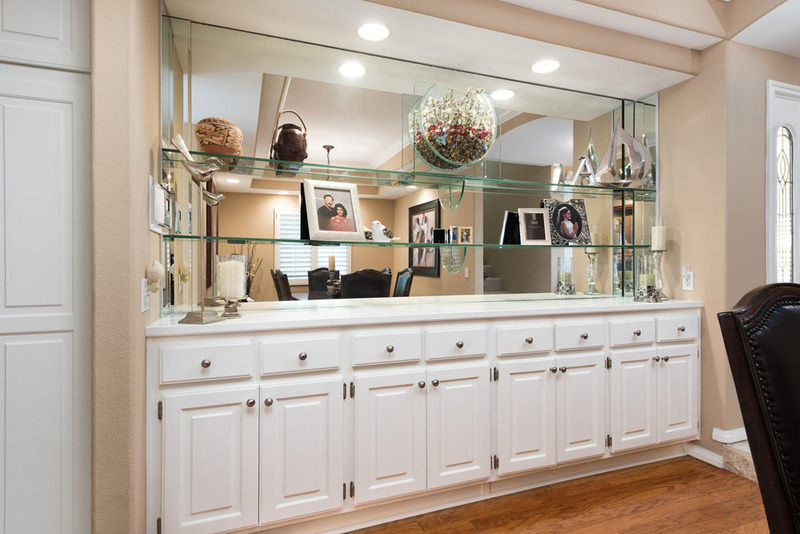 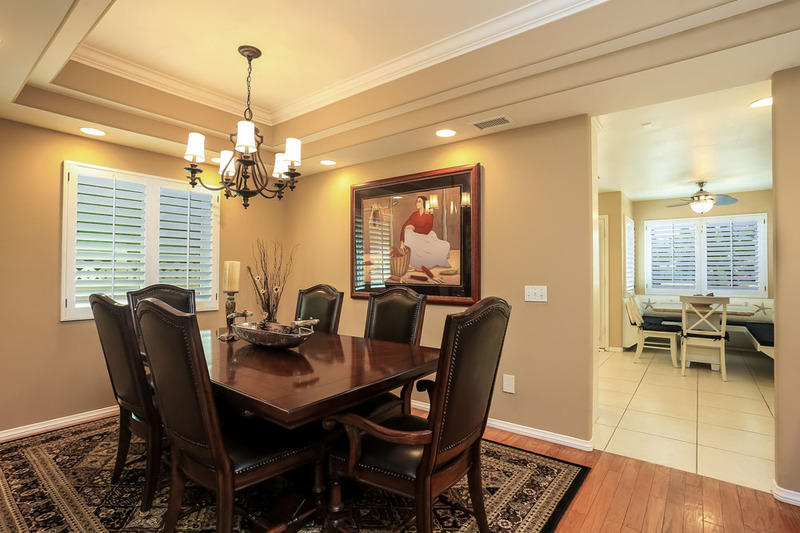 Experience intimate gatherings in the dining room with a full wall cabinet with drawers and countertop and wood floors that continue into a large living room with fireplace, sliding doors to a side patio with room for plants and seating, and a ½ bath. 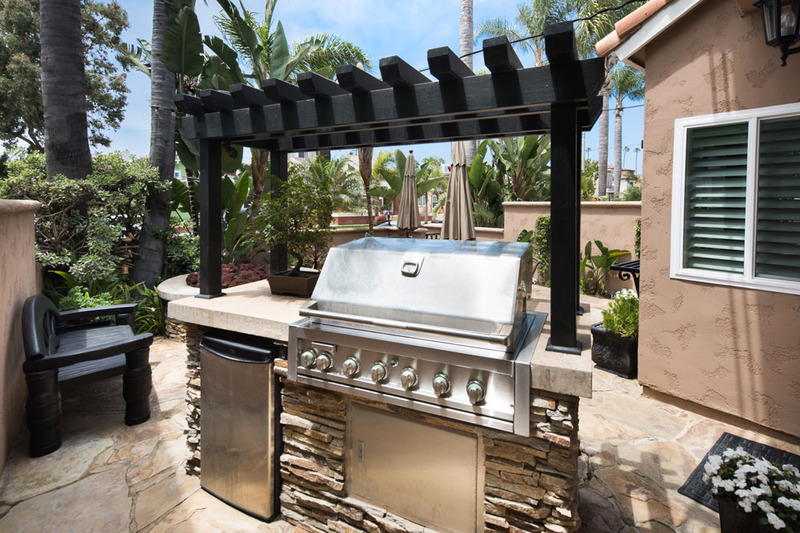 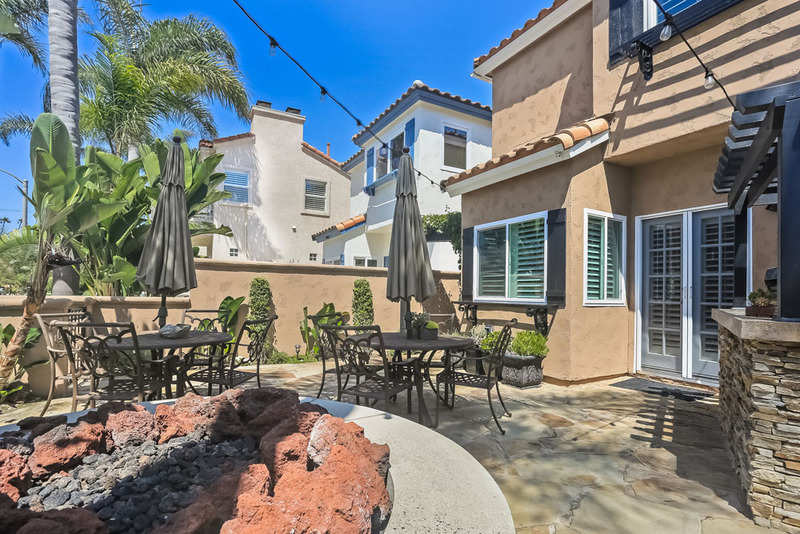 Perfect for entertaining, enjoy warm afternoon breezes and sunsets on the large and private flagstone front patio with a built-in BBQ+fridge, a gas fire pit with lush tropical landscaping and accent lighting. 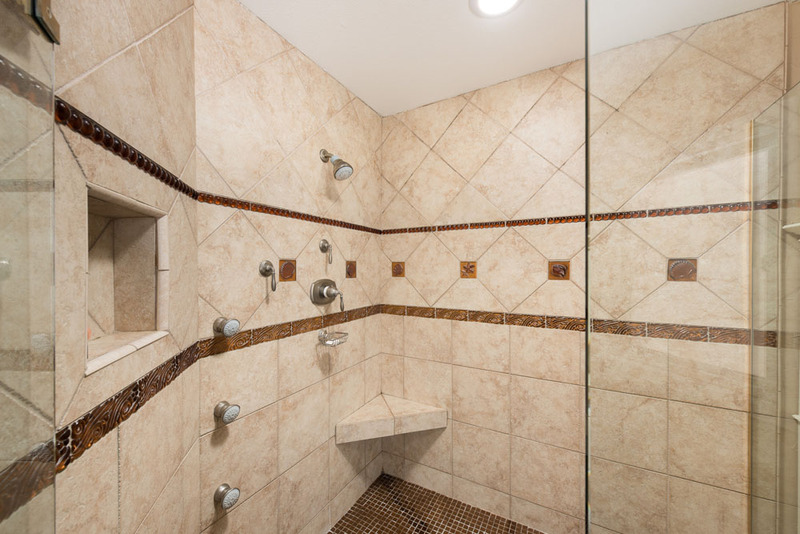 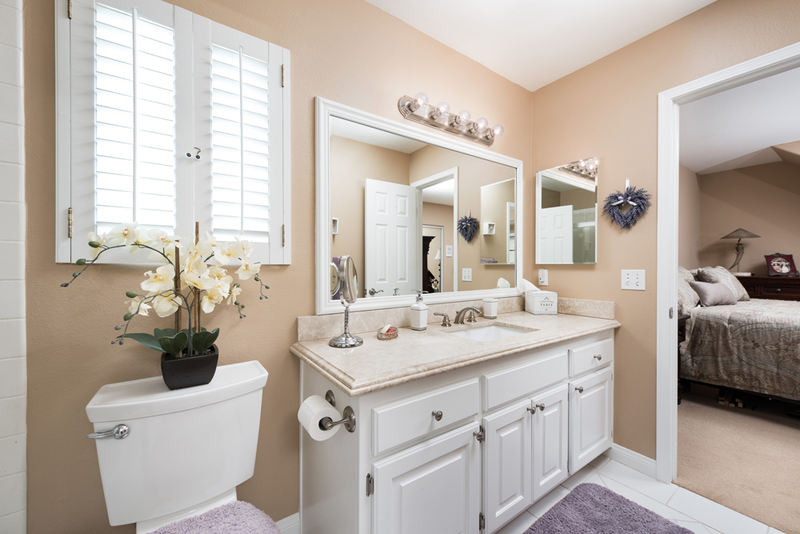 The designer touches continue upstairs with two spacious secondary bedrooms, each with closet organizers that share a tastefully upgraded Jack’n Jill bathroom with tub and shower. 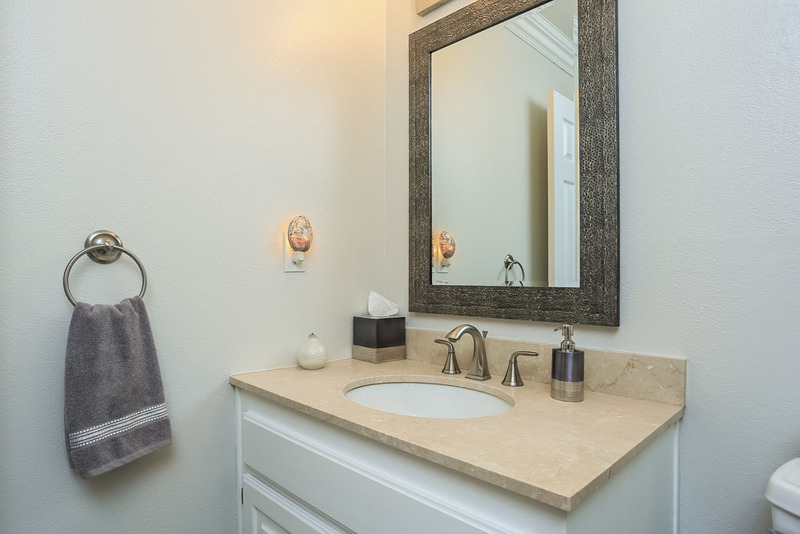 The luxurious master retreat has a built-in sitting bench with shelving around a large window, a large custom walk-in closet with organizers, en-suite bathroom with dual vanity sinks, marble countertops, and a upscale glass surround shower. 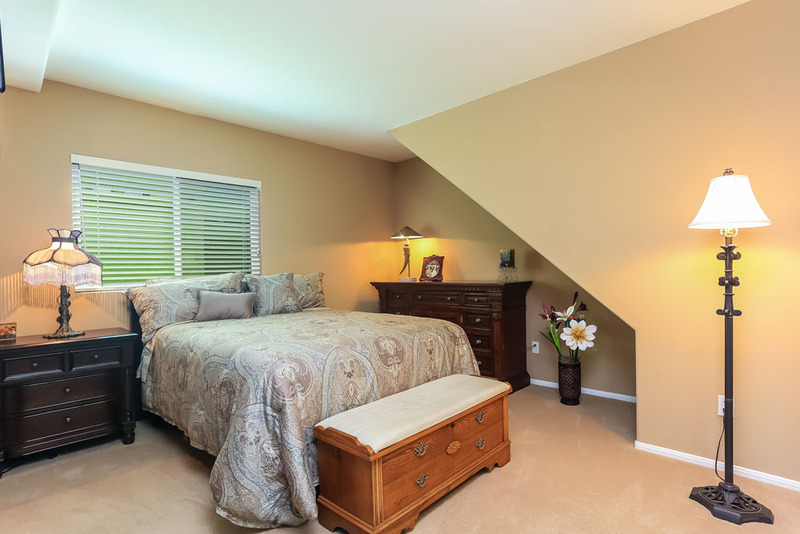 Separating the bedrooms is an enormous great/family room with vaulted ceilings, a cozy fireplace, media center and a built-in bar with fridge. 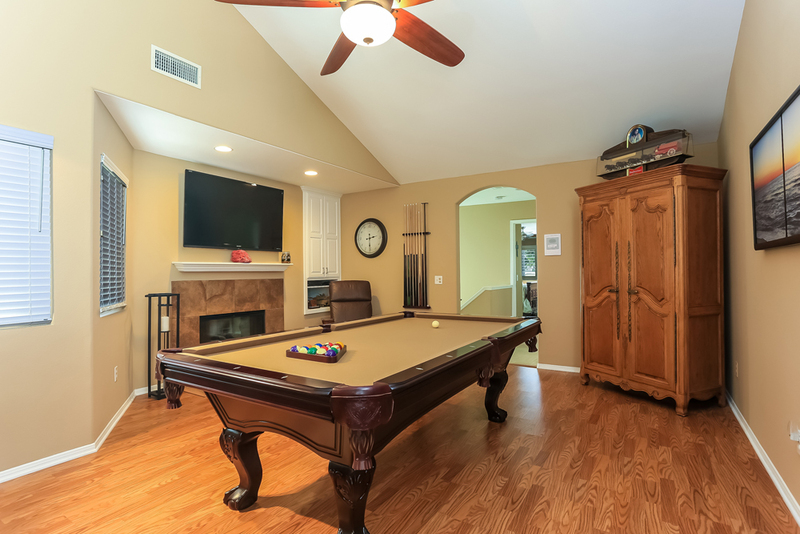 The 3rd floor loft is perfect as a recreation room, office or guest area. 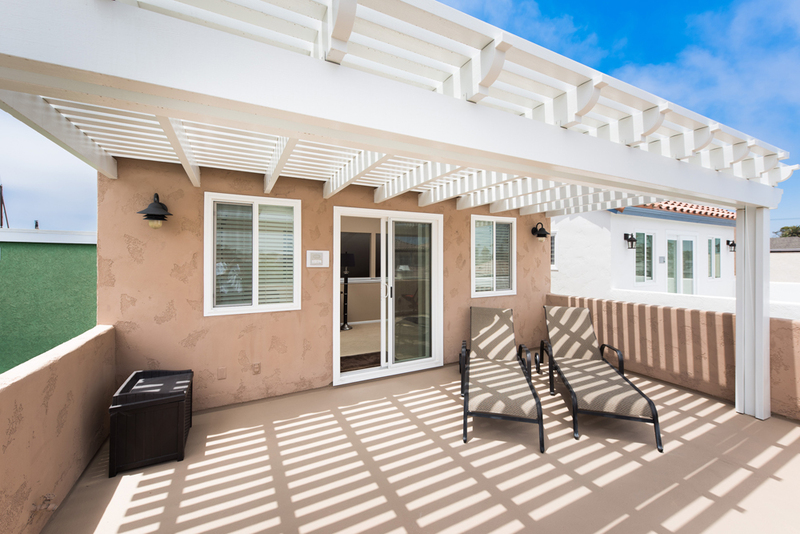 Sliding doors lead to a rooftop deck that is plumbed for gas, water and electric and has a new no maintenance patio cover where you can enjoy peak-a-boo ocean views. 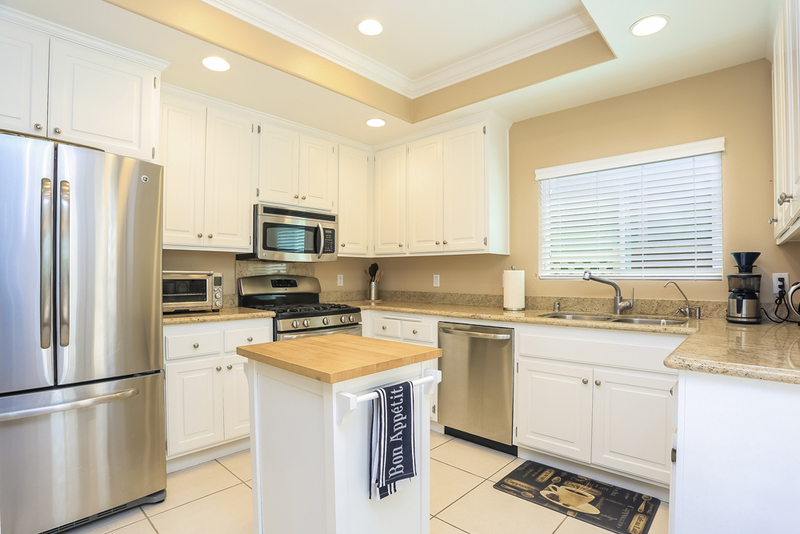 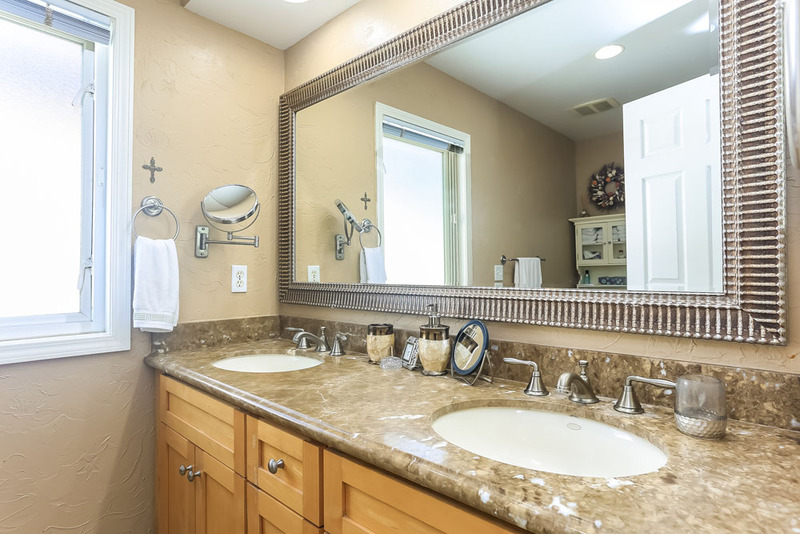 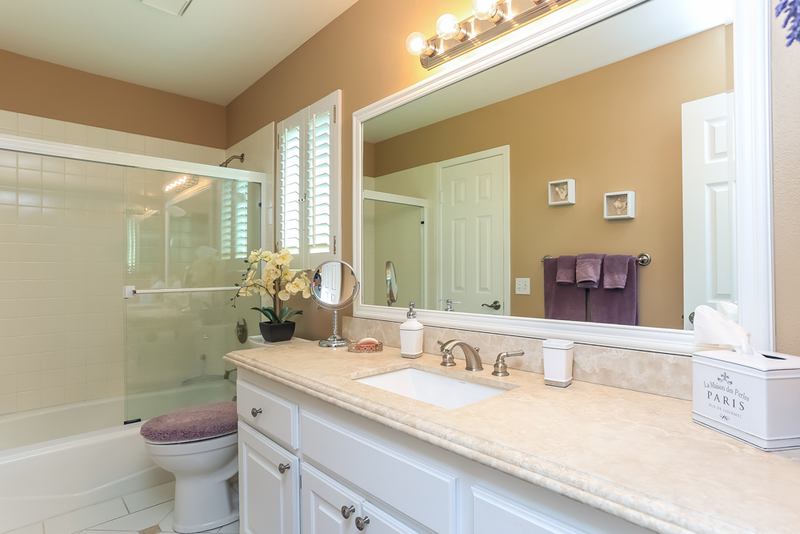 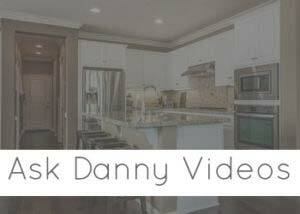 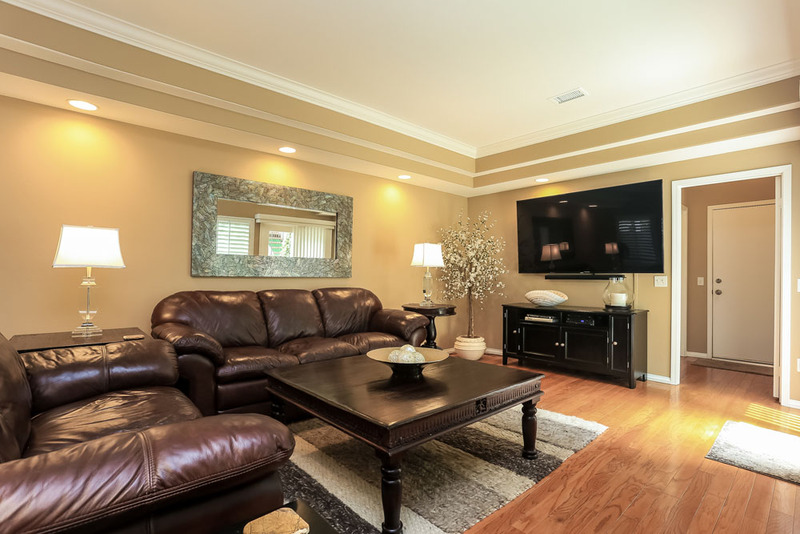 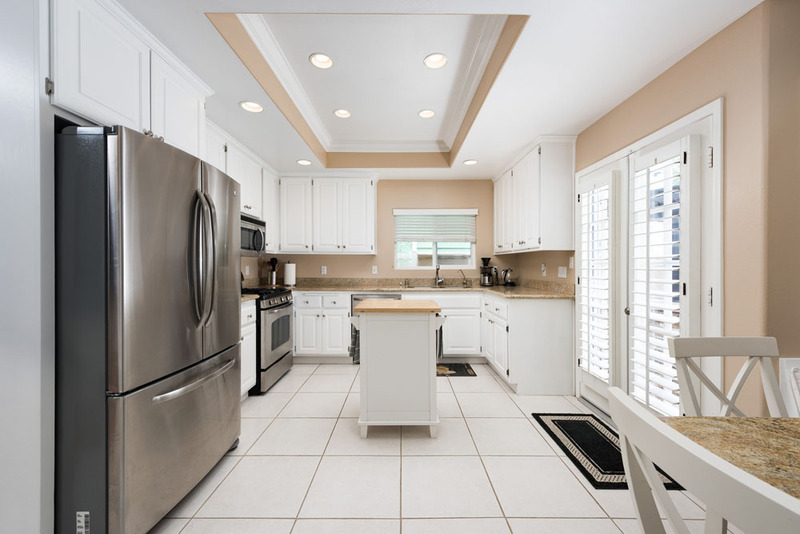 Other upgrades throughout the home include recessed LED lighting, crown molding, ceiling fans, dual paned windows and plantation shutters that let in lovely natural light, plush new carpet and fresh interior and exterior paint. 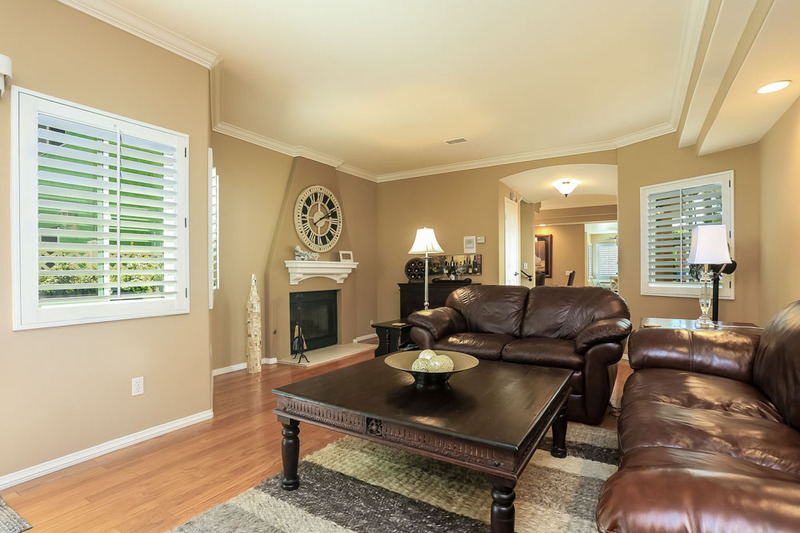 Enjoy quiet living in this charming home just steps away from the sand, and only minutes away from Main St restaurants, shopping & entertainment at Pacific City, the famous HB pier, dog beach, parks, blue ribbon schools and more!